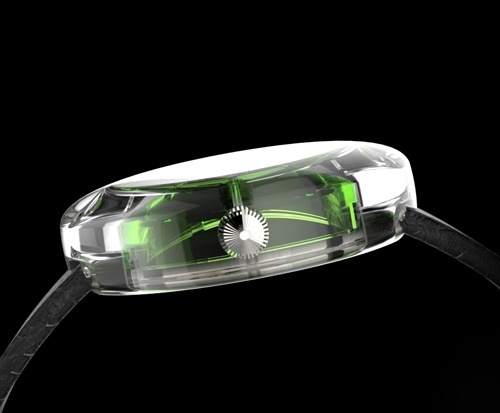 OK, maybe not finally, and I am sure that Project O1, a new watch that popped up on Indiegogo, is not the first watch in existence with a clear case (cue the Swatch fans), but it is still fairly unique. And kind of cool. 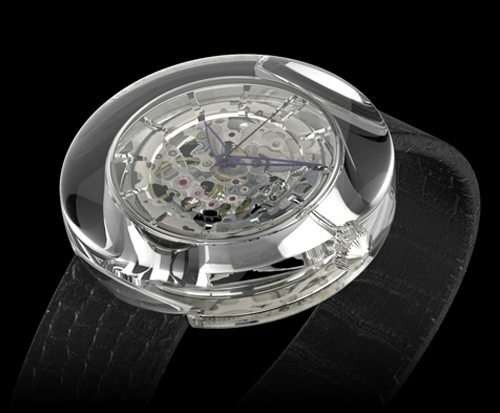 It takes the concept of skeletonization of an automatic watch to the next level. I don’t follow Indiegogo like I follow Kickstarter, so this came to my attention via an email from the creators. And with Indiegogo, there are looser rules on the stage of development prior to launching a project, so I am not sure if the images here are renderings or photos. I do see that they have a pretty ambitious funding goal. As for any crowd funded project (and I have backed several), please do a bit of research and understand the risks before you pledge. But if you do pledge to this project, and they are successful, then you are going to get an interesting and unique watch in return, something I usually don’t see with crowd funded projects. There is no crystal per se, the whole watch is encased in Polymethyl methacrylate (PMMA), or for you non-chemical engineers out there, plastic. 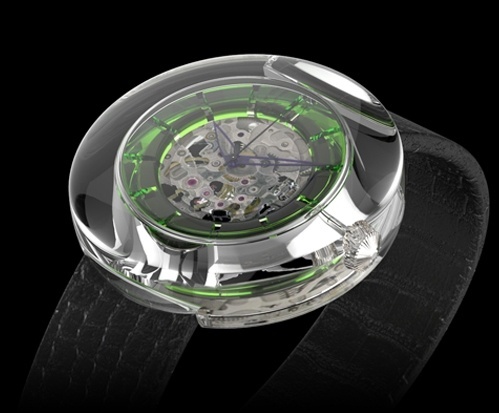 The case, bezel and crystal are all one piece of PMMA, which is joined to a caseback of PMMA, sandwiching the Miyota 8N24-E21 skeleton automatic movement and a PMMA chapter ring, in either green, black or, you guessed it, clear. The hour and minute hand are blued, but in the images, they look a little purple to me, lending to the idea that this is a rendering. Who we think it might be for: Modern aviation fans. Would I buy or recommend it just on the photos? : I would want to see it in person. If I could make one design suggestion, it would be: I don’t care for the chapter ring. What spoke to me the most about this watch: Two words – exposed movement. Next articleWant Input into a Watch Design? came to my attention via an email from the creators. … I am not sure if the images here are renderings or photos. I just saw this article today, because it was not communicated to me by the author, therefore, to answer your insightful question, the images of “O1” are rendered. On the other hand, to correct some errors of assessment, the bezel isn’t 4mm thick, but 2mm, there is not screwed crown, the case-back joined to the casing using a tension ring which ensures a perfect seal, offering and a minimum sealing 30M, the test will tell us more. For the choice of platform Indiegogo, I had no choice, “Kickstarter” does not offer the possibility to Spain or France to submit projects, it is only for international buyers. If you have any other question, it is my pleasure to answer you. 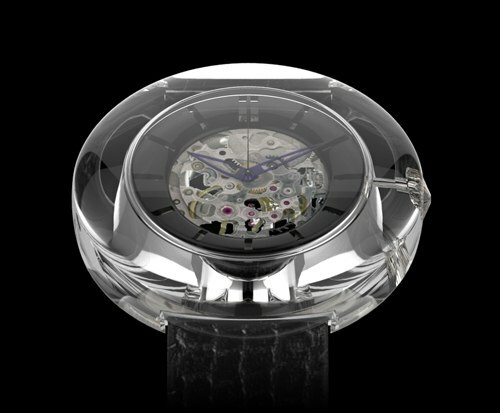 And again thank you to WristWatchReview for this article.